The Tektronix TBS2104 Digital Storage Oscilloscope offers a 9-inch WVGA display, 20 million point record length and 1GS/s sample rate. 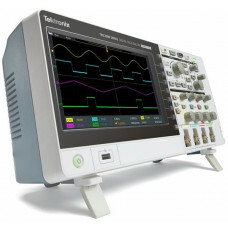 With this oscilloscope you will be able to capture and display significantly more signal to speed up evaluations of designs. 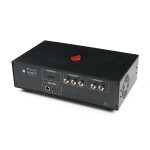 On-waveform cursor readouts and 32 automated measurements allow users to easily and confidently analyze signals. 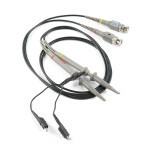 The TekVPI® probe interface works with traditional BNC connections, while also enabling wide application coverage with active voltage probes and current probes. The TBS2104 is designed for quick hands-on learning and worry-free operation while still providing users with 10 vertical divisions and 15 horizontal divisions, to allow signals to be more visible! The size of the display also offers more room for measurement results and menu information. Warranty - Five-year warranty covering all parts and labor, excluding probes. If you are looking to use your HAMlab as more than a software defined radio (SDR), this kit is where..